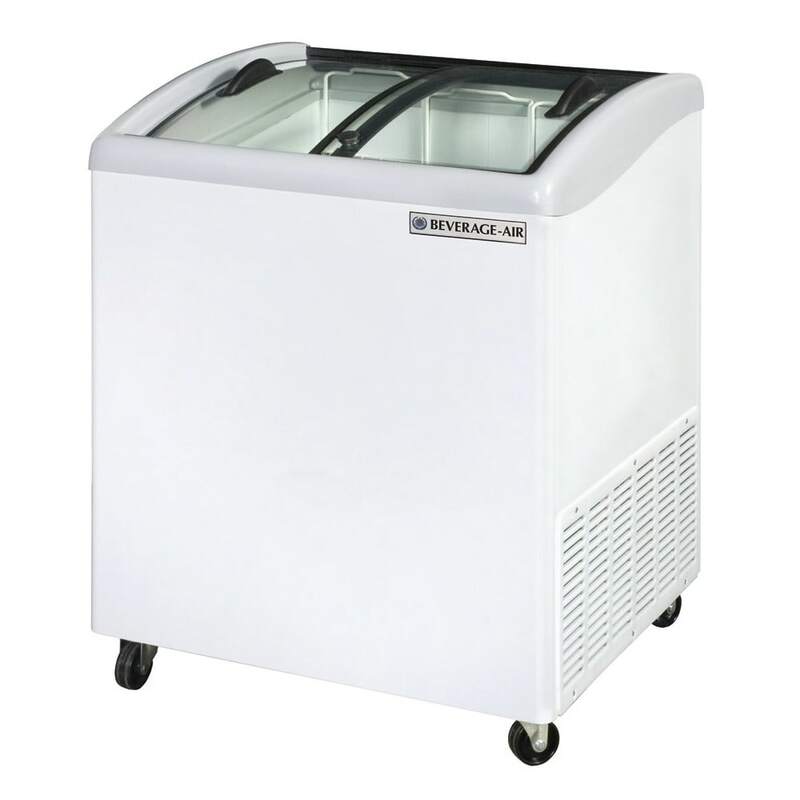 The Beverage Air NC28HC-1-W mobile ice cream freezer holds eight 3-gallon tubs in its display area while storing six 3-gallon tubs in the base. Baskets and dividers are included for holding and organizing the tubs, and the glass lids enable customers to see the available ice cream choices. Since these lids can be locked, the operator can limit cabinet access for theft prevention. Temperatures in the unit stay cold with the R290 hydrocarbon refrigerant, which is more energy efficient than traditional refrigerants. 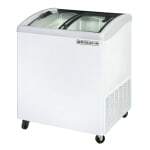 This Beverage Air NC28HC-1-W mobile ice cream freezer comes in white.